You will be pleased to know that we are not charging to watch this meeting, however, the venue reserves the right to charge visitors an admission fee in the order of £2 - £3. The full programme will be added very soon, but following a warm up session the racing is due to start at 6.30 and should be ended by about 9.30. 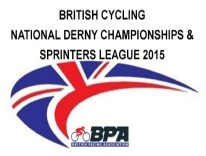 A full list of riders for the championship and the support races will be posted soon.